Posted byendlessappetite	 February 4, 2012 2 Comments on It’s Super Bowl Time – Muffulettas and Chicken Wings! It’s that time of year again–Super Bowl time! One last excuse to throw dietary caution to the wind and meal out! Two things that get the task accomplished better than the rest are chicken wings and big, meaty sandwiches. It just wouldn’t be football without them! I can distinctly remember when Super Bowl chicken wings became a tradition for me. It was my freshman year of college and some friends and I decided to try out a new wing recipe. They turned out to be everything we’d ever hoped for in a wing, crisp, naked (without breading…) and tangy with sauce. They weren’t light-your-mouth-on- fire wings (we saved that for Dave’s Insanity) but we loved them so much that we ended up returning to the grocery 3 times for more ingredients. I think we made enough wings that day to rival your busiest sports bar. That was more than a decade ago and we’ve upheld the tradition nearly every year since then. 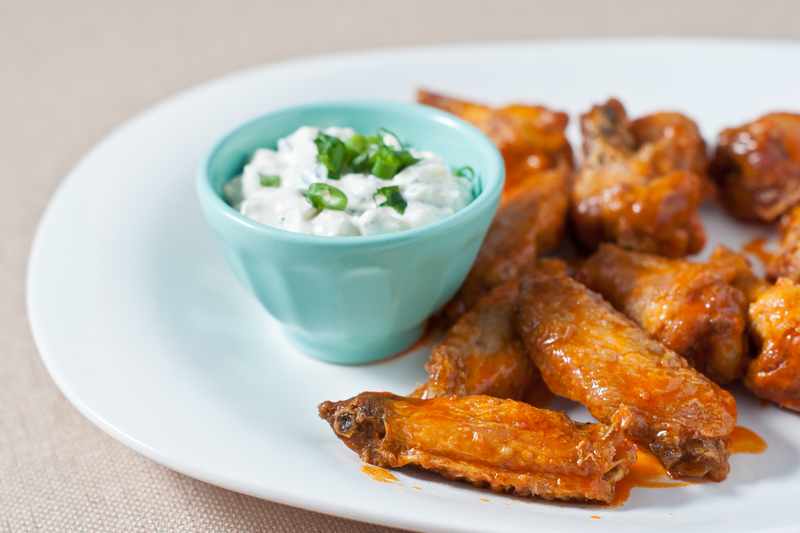 If we’re making wings, we usually end up making blue cheese fries. I’m not sure if it was my brother or sister-in-law who came up with this creation of simple genius but it’s a keeper and dead simple–crinkle cuts topped with homemade blue cheese and broiled until melty. Mmmmmmmmmmmmmm. Speaking of mmmmm, muffulettas are an excellent addition to the Super Bowl spread. I can’t remember exactly when I first started making muffulettas but I for darn sure remember the first time I ate one! I used to meet my mom for lunch at a local Cajun restaurant named, Doodles. They had an extensive menu of Cajun and Creole favorites, killer Po’ Boys, and The Muffuletta. When I tasted the combination of crisp, buttery bread, spicy meat, ,melty cheese and tangy olive salad, I was inspired! After several trips to Doodles, I went home and got to work on recreating the experience for friends and family. There’s still no muffuletta like Doodles (it was destroyed in the tornadoes last April–the owner has no plans to re-open) but I hope that my version does it justice! Friends and family seem to think so and often request it for birthdays and celebrations but where it really shines is in a game day spread. We had some amazing friends over to taste test this decadent game day combo of wings and muffuletta sandwiches and they gave us their full approval! There are two different ways that you can make the wings. I’ll detail both below. To increase the heat, you can add more Sriracha to the sauce. I don’t normally suggest specific brand names in recipes but for the wing sauce, Franks’s Red Hot sauce is hands down the only one I use because of its thick consistency. It really coats the wings. Speaking of sauce, remember that Asian barbeque sauce from this post? It makes a fantastic wing sauce! The Blue Cheese is also excellent on french fries, sandwiches, or as the dressing 0n a classic iceberg wedge salad. I’ve also used it as a dip for homemade barbeque potato chips–so yummy! Mix all ingredients together in a bowl. Serve as a dip for wings or anything that strikes your fancy. Heat ingredients over medium-low heat, whisking occasionally until butter is melted. 1. The single dip: Using tongs, toss wings in a large bowl with sauce until thoroughly coated. Serve immediately. 2. The double dip: Preheat the oven to 450 degrees. Toss the wings with sauce and spread evenly on a sheet pan. Bake for 10-15 minutes until crisp and sizzling. Remove from the sheet pan and return to the bowl that you used to toss them in sauce. Toss with another layer of sauce. Serve immediately. 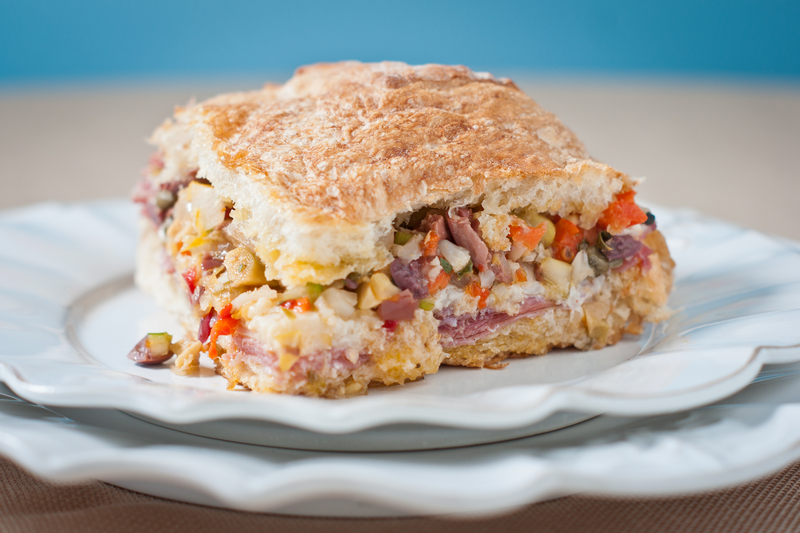 My first choice for bread is muffuletta bread. If you can’t find it, a round ciabatta loaf works well. Leftover olive salad is great on salads, as a topping for fish, or on other sandwiches. Put olives in the bowl of a food processor and pulse 8-10 times until the olives and have a slightly chunky, uneven texture. Place in a large bowl and add Giardiniera, cocktail onions, banana peppers, and roasted red peppers to the bowl of the food processor. Pulse 8-10 times. Place in the bowl with the olives. Add remaining ingredients and mix thoroughly. This can be made in advance. 4 cups of prepared olive salad. Heat the oven on the broil setting. Slice the loaves in half, horizontally. 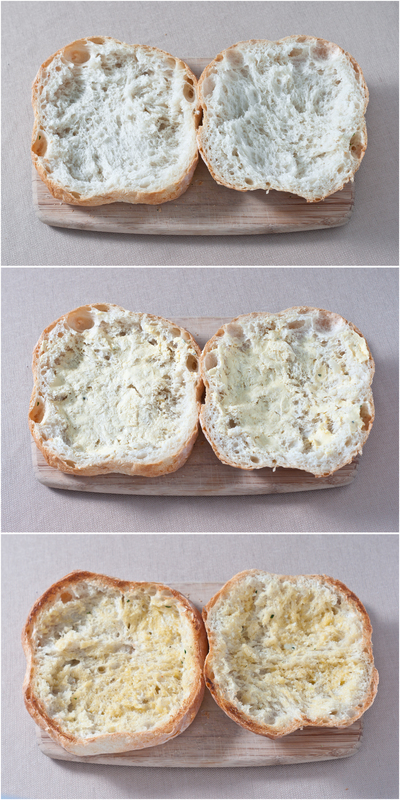 Remove some of the bread from the inside of the loaves, creating a nice depression for all of the filling. Mix the butter, garlic, and Pecorino together and slather 1/4 of the mixture on each half of bread. Place the loaves cut side up on a sheet pan and broil until lightly golden. Remove from the oven and adjust the heat to 375 degrees. Fan each kind of meat out over the bottom half or the loaf. Top each half with 5 slices of cheese. Top the cheese with 2 cups of olive salad, spreading evenly over the surface. Top with the other half of the bread and wrap in foil. Repeat with the remaining loaf, meat, cheese, and olive salad. 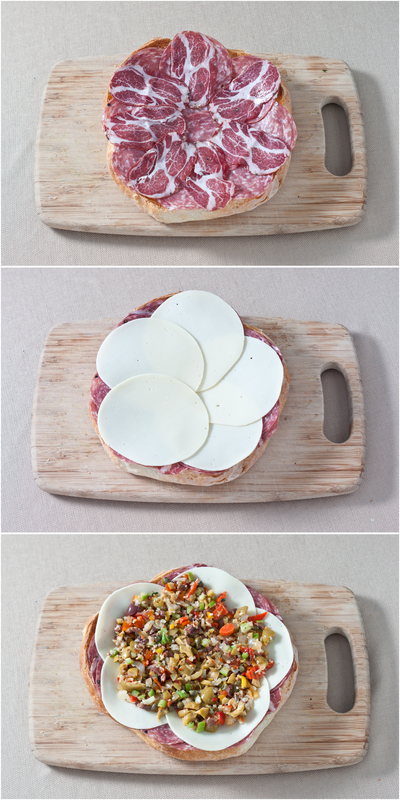 Place both sandwiches in the preheated oven for 15 minutes or until the cheese is melted. Remove from foil, cut into quarters, and serve. My wife made the dip the day before a party and put it in the fridge. When I met her at the party the next day with the dip, I uncovered it and it was totally liquid. Fortunately for us it didn’t get eaten much at the party because when we brought it back I tried it on a salad. This recipe turned out to be the best blue cheese dressing I have ever had! All it needed was a little fresh pepper on top and I can not stop eating it! That happened to ours too, and I’m not sure why. I’ve made it many, many times before and it’s never happened. I would say, increase the mayo to 1 1/2 cups and decrease the sour cream to 1/2 cup. Glad you enjoyed it!